No lie, I am not a fruit eater (obviously). I just never had it and the texture became weird to me. But, as an adult I realize how important it is to enjoy a balanced diet of all things and that fruit is an excellent source of all the good little things that keep the heart pumping and the body happy and I have been diligently working on my fruit consumption. From sneaking berries into my daily spinach smoothie to slicing an apple and making sure to chow down on it between meals – I am slowly working fruit (and not just the bits you find in ice cream) into my daily meals. Heck I had no idea that fruit was also a great sugar replacement for my snack cravings – 1 cup of fresh strawberries is only 50 calories?! No way! (True). And only 8 True). And only 8 Florida Strawberries is your Vitamin C for the day. Two birds, one happy healthy stone. Since I am not too keep on sweets (though, I have made some killer strawberry themed desserts & cocktails in the past), I wanted to find a way to start sneaking strawberries into my savory foods as well. I love the idea of mixing a few into salsa and salads! There’s a quantity even my picky palette can appreciate. Today, I decided to go a little while and make a luxurious grilled cheese oozing with creamy brie and popping with a burst of sharp flavor from the basil and freshly ground black pepper. 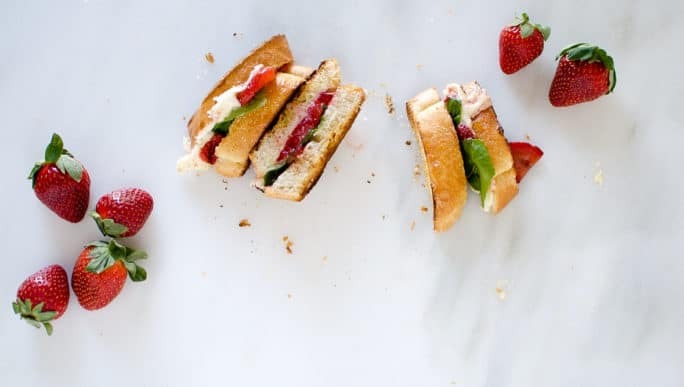 For some more strawberry recipe inspiration – check the list of recipes below or click here and check out Florida Strawberry Recipes directly from the source. Follow Florida Strawberry on Facebook | Twitter | Instagram | Pinterest | YouTube | Twitter | & Check StrawberrySue.com for more fun ideas! This weekend I was lucky to spend the weekend catching up with the team at Florida Strawberries in Tampa! Check out my Instagram feed for pics of the stunning Epicurean Hotel, the tasty Cask Social Kitchen, Ava , Edge Rooftop Bar at Epicurean, Elevage , Bern’s Harry Waugh Dessert Room! I will be tagging them and sharing pics all weekend long! And bonus – I will be speaking on photography so be sure to catch up for some great tips on that too! Preheat the oven to 375. 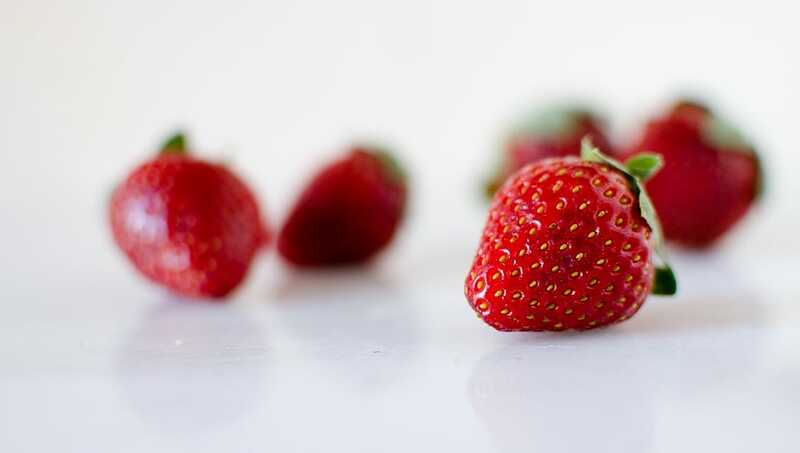 Toss the sliced strawberries in a bowl. Whisk the balsamic vinegar and honey together. 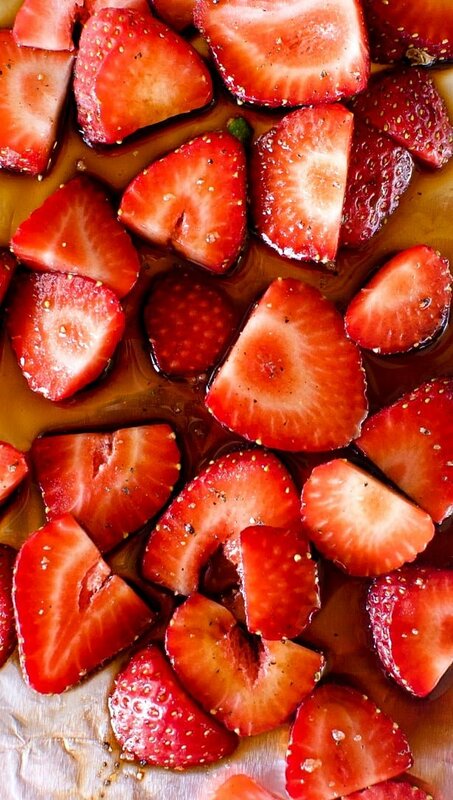 Toss the strawberries with the balsamic mix to coat. Arrange on a baking dish in an even layer and sprinkle with freshly ground salt. Bake for 7 to 10 minutes. Set aside. Meanwhile, butter one side of each slice of bread. 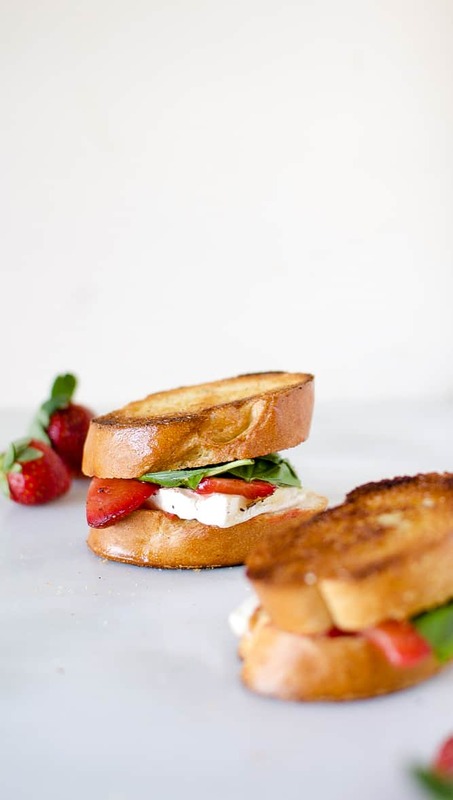 Arrange the strawberries, brie and basil on half of the bread. Season with a bit of black pepper. Top with the remaining slices. Melt remaining tablespoon butter in pan and toast each sandwich on both sides until golden and cheese is getting all gooey and perfect. 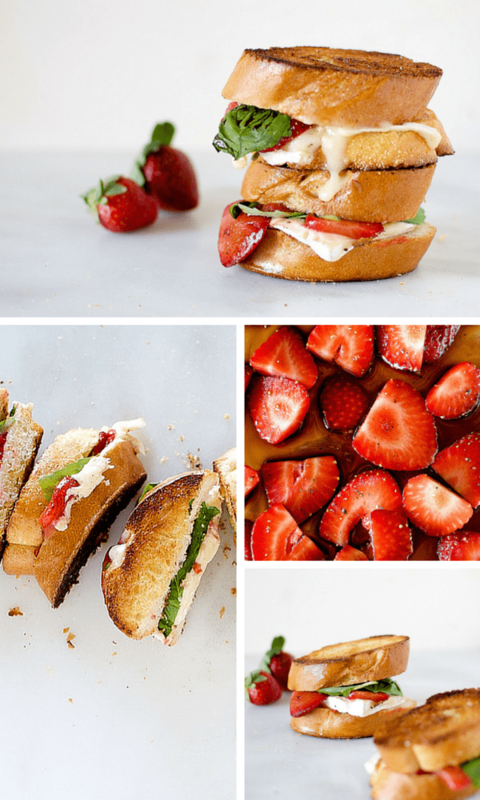 Check out all of these delightful Strawberry inspired recipes! Oh my yumminess! Love the flavors in this cheesy sandwich! Looking forward to making it 🙂 What a fun video! It was sheer pleasure to meet you this past weekend and learn from you about food photography. Thank you for sharing your knowledge and this marvelous recipe too! 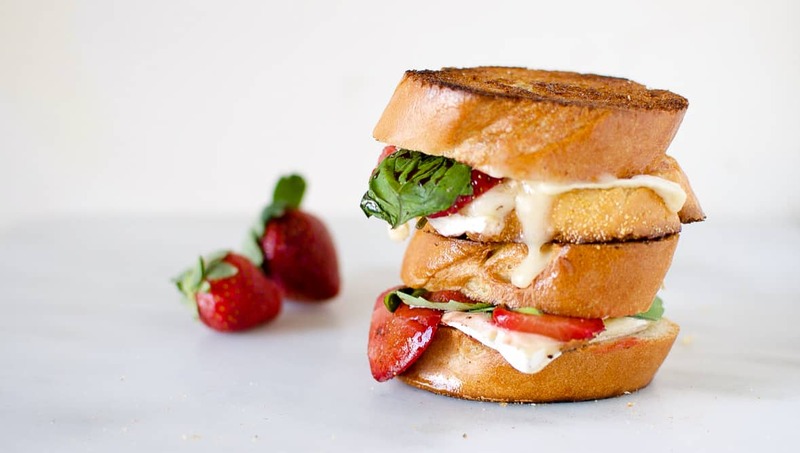 This grilled cheese combines all things I love! I can’t believe I’ve never tried it before but it will probably become my go-to! And how fun would it be to pair it with a strawberry bee’s knees cocktail for an easy girls get-together! it was great meeting you Kita! 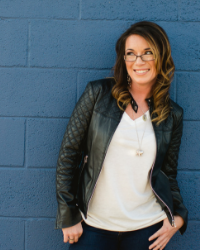 You definitely rocked the photo workshop! Cheers! Oh man and with brie? Love.